3 tips to improve your live shows! Touring and doing live performances of your music is key to building a solid fan base. Here are three tips to help. 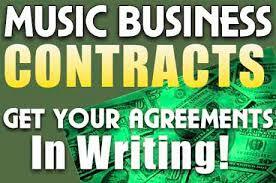 Subscribe to our Youtube channel for more music business advice. Use lyric videos to promote your song! If you don't have the budget to shoot a quality music video, then creating a lyric video can be a great alternative. Subscribe to our Youtube channel today!